Ah, summertime. The season of sun, sand and GET THOSE FILTHY FLIP-FLOPS OFF OF MY FLOOR! For many (especially those with children and pets), summer is dirty-house season. Wet bathing suits, sports equipment, muddy footprints (and pawprints), and trails of sand are all hallmarks of this time of year. 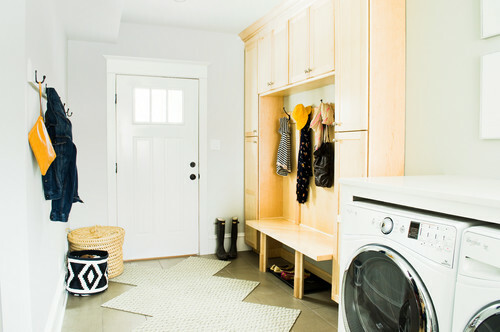 If you’re fortunate enough to have a mudroom in your home (or even a small entryway), now’s the time to whip it into shape! 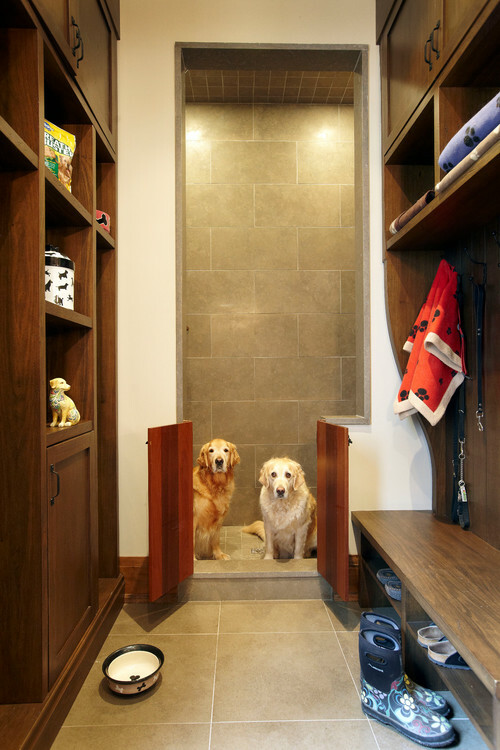 Your mudroom should accommodate every family member. 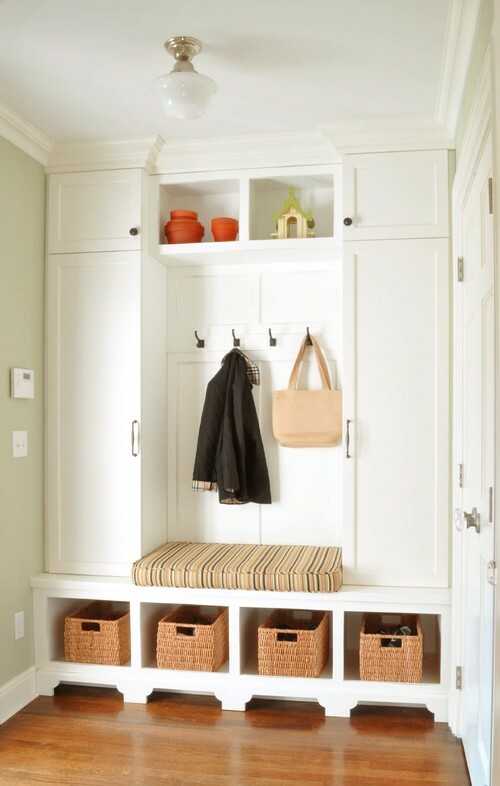 For easy access, give each person their own space; a cubby, a drawer, a cabinet, a shelf or bin(s). 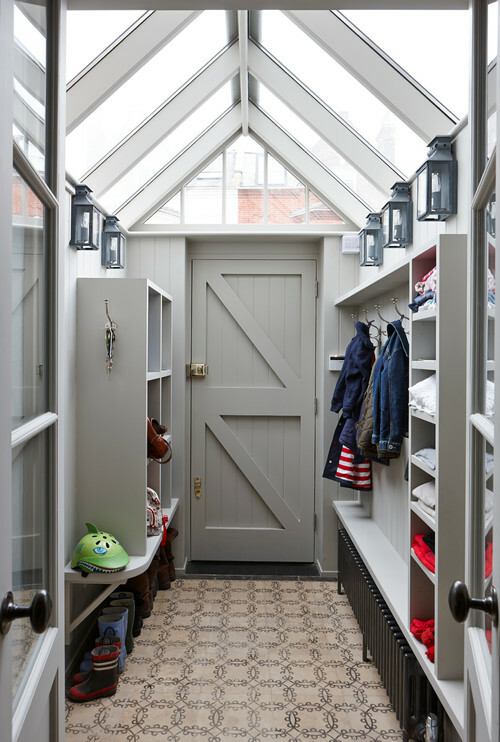 Incorporate everything that you can – if you don’t have enough room, pick the elements that are most important to your personal life. 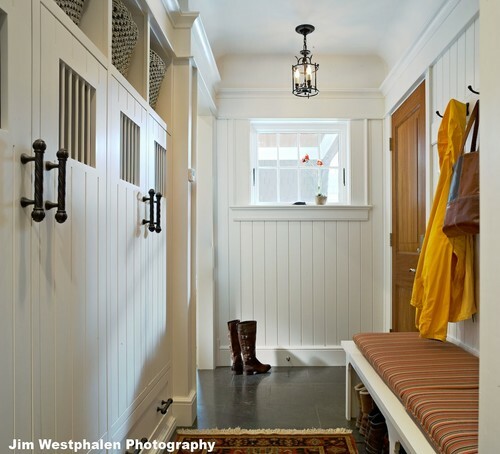 It will make getting in and out of the house immeasurably easier. Most importantly, make it welcoming and fun! 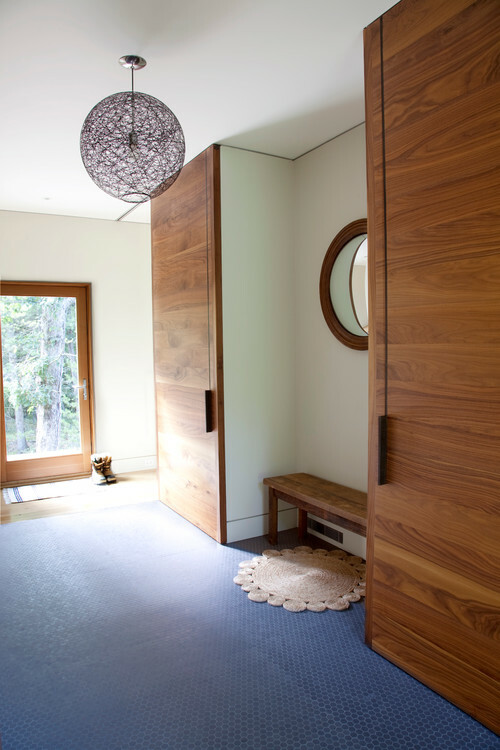 You and your family will be spending more time in there than you expect. 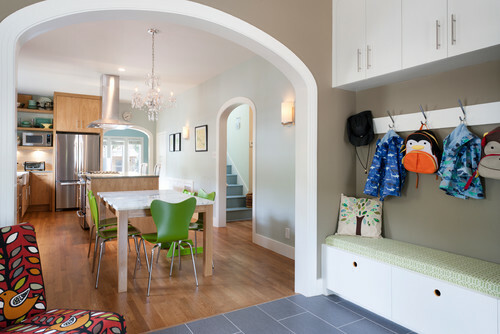 Entry by KannCept Design, Inc. Entry by Identity Design LLC. 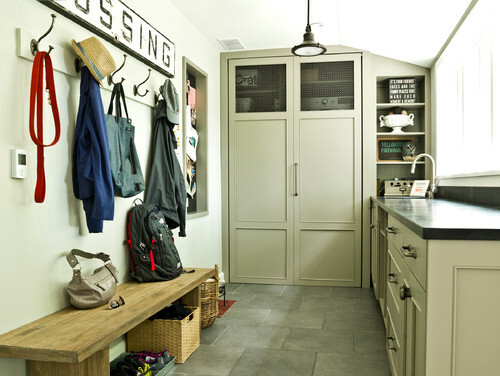 Laundry Room by MasterBrand Cabinets, Inc.
What’s in your dream mudroom? Going On Now: Independence Day Sale!